There was drama at the Stonepark auction rooms of Rendells near Ashburton when this Isnik fritware tile was hammered down at £155,000 at their latest sale. The tile featuring parrots flanking a pedestal fountain which sold at Rendells for £155,000. 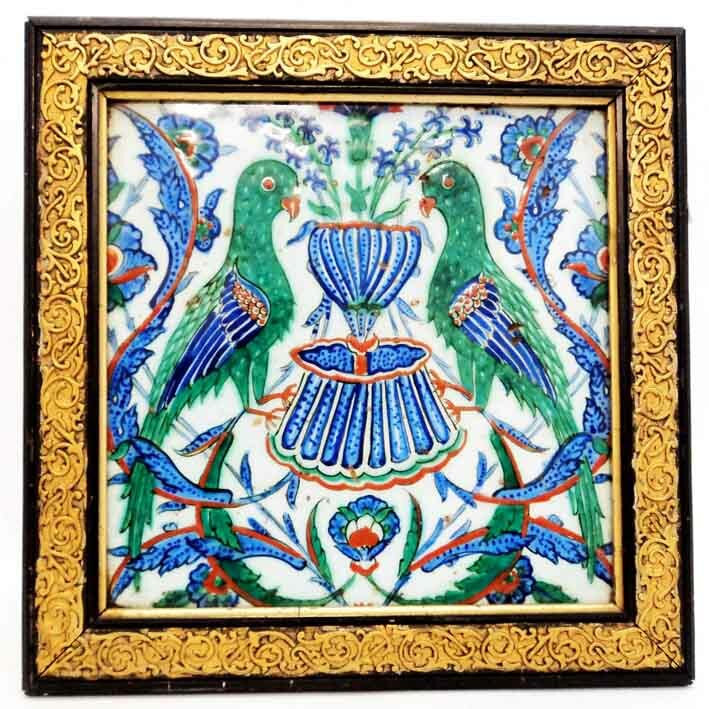 The 9½in (24cm) square tile featuring parrots flanking a pedestal fountain was brought into a valuation day after the vendor, who had kept it in the garage, had second thoughts about sending it to the local church jumble sale. It had belonged to her step-grandfather who had worked as a consultant mining engineer in Turkey. Cataloguer and valuer David Ship instantly recognised it as Ottoman and subsequently dated it to the 1580s-90s. It is one of only a small number known in this pattern, using the emerald green first used to decorate tiles of the mausoleum of Suleiman the Magnificent in 1566, and the first to be offered for auction in two decades. A near identical tile is in the Fitzwilliam Museum, Cambridge, given by South African collector Alfred Aaron de Pass and another featured in the 2008 exhibition titled Three Empires of Islam: Istanbul, Isfahan, Delhi. Masterpieces of the Louvre Collection. All ten of the phone lines were booked at the auction on October 16 and commission bids saw bidding open at £11,000 - well above the top estimate of £5000. In the end a bidding war ensued between the last two lines manned by members of the London trade. • Highlights from London's Islamic week sales are reported in this week's ATG print publication.